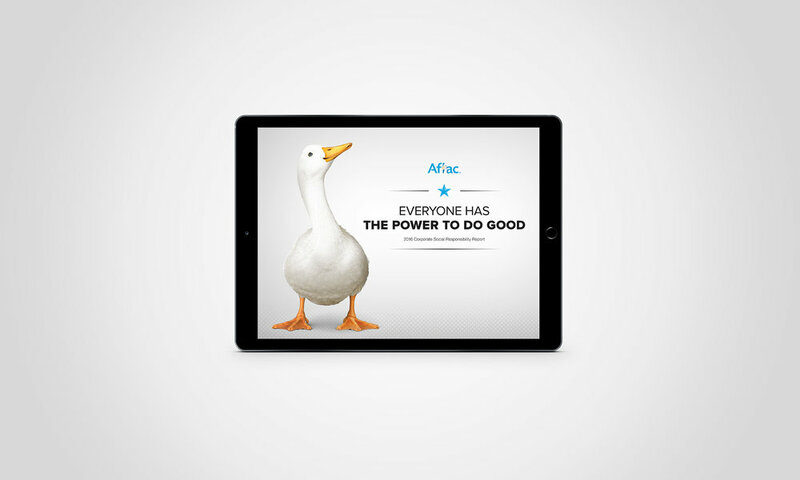 This online report was designed to reflect Aflac's 2016 CSR theme, "Everyone has the power to do good." 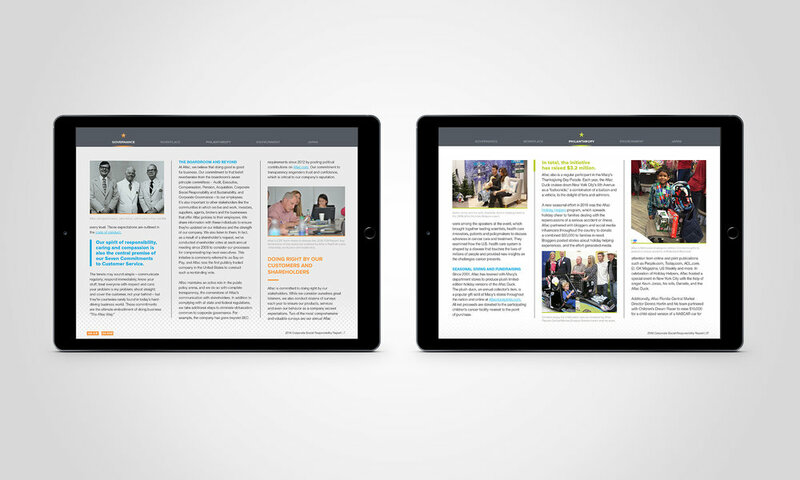 Shown is the cover and select pages from the document. 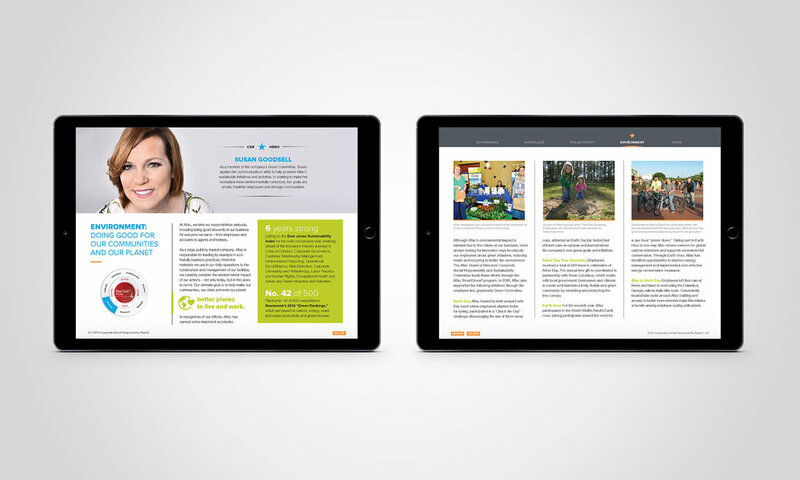 I created the look and feel for this piece and worked with a junior designer to complete the 56-page PDF.